Fred Rogers, American television personality and creator and host of Mr. Roger’s Neighborhood, stated, “Play is often talked about as if it were a relief from serious learning. But for children, play is serious learning. Play is really the work of childhood.” Here at TYO, we couldn’t agree more! Core students Minna and Yoseph hold their water balloons as they prepare for a balloon toss. 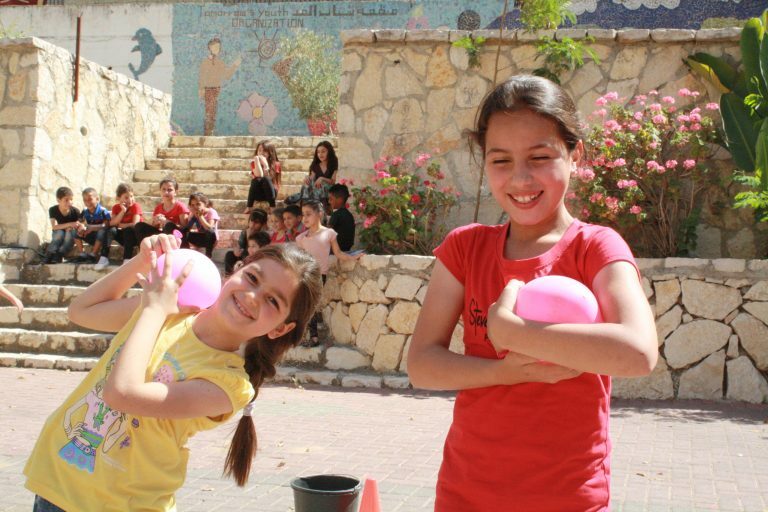 Two Core students Hoor and Yasmine progress to the next round of the water balloon toss while their classmates watch the contest. Core teacher Ahmad plays with his students during the water balloon toss. A Core class participates in a relay race. Each team must carefully fill a bottle with water using only a small cup. Challenges can be fun! Core student Zain smiles as he rushes to fill the bottle to help his team win the race. 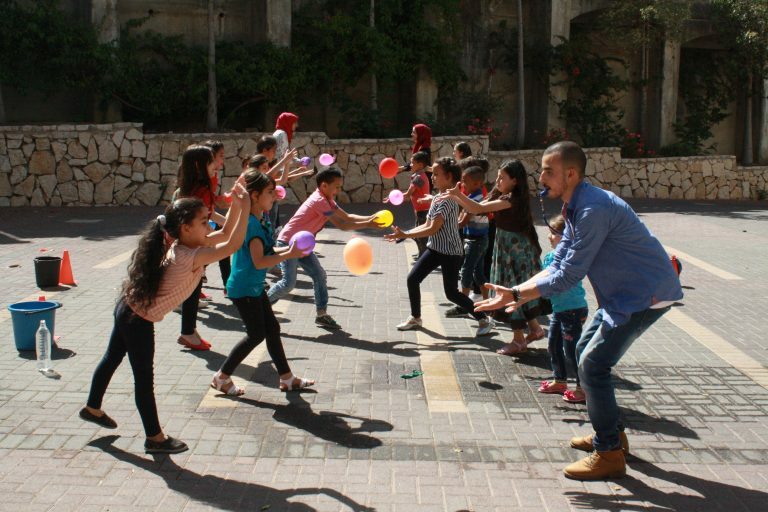 For the children of TYO, of Nablus, and Palestine, the freedom to be child- to play, run, sing, create, learn, and laugh- is vital to growth and happiness. We welcome you to play and celebrate International Children’s Day!